Pennant Equity Partners acquires, develops and grows unique product oriented businesses. We focus on long-term value and seek businesses that we believe we can bring value to and grow over time. Our focus and ability to work directly and knowledgeably with founders is our strength; we bring together a unique mix of patient capital, a smart and honest directness that comes from a blend of industry and financial experience and a network of people and resources that know the markets we work in. Pennant was founded in 1995 as an acquisition vehicle under the name Pennant Industries. Today Pennant is a closely held network of investments and Operating Partners. The simplicity of our model provides us considerable agility and the ability to focus on seeking optimal strategies and outcomes. Harry has more than 30 years of executive management and technology leadership experience with the semiconductor manufacturing industry and the Cleantech sector. Currently Managing Partner at Multi-technology Ventures Mr. Rozakis was previously Chief Executive Officer and President of Cyrium Technologies (a photovoltaic cell developer and manufacturer) Inc. He also served as Chief Executive Officer of ASAT Holdings Ltd. (NASDAQ:ASTT), V-CAPS (Vietnam Chipscale Advanced Packaging Services), and Executive Vice President of EEMS Italia SpA. Mr. Rozakis has spent a significant part of his career working in the Asia Pacific region as well as Europe and North America. 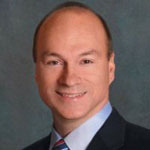 Mr. Rozakis was the Founder of ChipPAC now known as STATS ChipPAC, and has held senior management positions at Tessera Technology, Inc., a provider of intellectual property for chip-scale packaging, Reel Services Group. Having spent a significant part of his career working and living in the Asia Pacific region, particularly China, Mr. Rozakis is considered an extremely knowledgeable adviser regarding business in this region of the world. 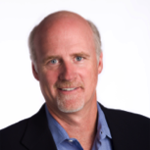 Kevin Colcord is a Managing partner and Executive Consultant for Lean Enterprise Inc., focused on implementing Lean Thinking and Six Sigma in firms ranging in size from 500 to 100,000 employees. He has wide ranging, hands on experience in many types of processes: high speed assembly, low volume-high complexity assembly, product development, machining, forming, and, special process manufacturing. Industry experience is equally broad – specific work in: battery manufacture, aircraft engine parts manufacture, aircraft engine assembly, paint formulation, specialty heat treatment, tractor trailer manufacture, computer cabinet manufacture & assembly, aluminum coil manufacture, brass rolling, aircraft avionics, automotive injection molded parts, urethane & silicon foam manufacture and specialty injection molding. 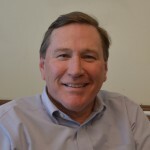 Prior to starting his consulting business, Kevin worked as a Manufacturing Manager and Engineering Development Manager for General Electric’s Aircraft Engine Business both in Lynn, Massachusetts and in Rutland, Vermont. Other positions held by Kevin include: Process Control Engineer, Design Engineer, Quality Engineer, Automation Engineer, Process Control Manager, Shop Manager and Information Systems Manager. 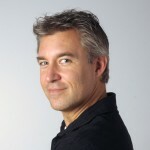 Kevin Graduated from the University of New Hampshire in 1982 with a B.S. in Chemical Engineering. 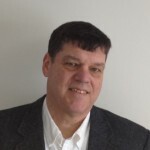 Kevin’s consulting practice has focused on developing change management strategies for the deployment of Lean Enterprise Principles (and integrating Lean with SixSigma). Major Clients include : AlliedSignal Corp. , LockheedMartin Control Systems, United Technologies Automotive, General Electric Capital Corp., GlaxoWellcome, GalxoSmithKline, Raytheon Company, World Kitchen Inc., Rolls Royce Canada, Partners Healthcare, Shire Pharmaceuticals, Endo Pharmaceuticals, Partners Healthcare and Eaton Cuttler Hammer. Alan is a senior business executive with 25+ years of leadership experience, Alan has a strong track record of achieving corporate objectives and creating shareholder value for biotech and pharmaceutical companies. 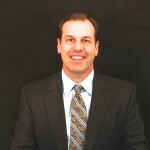 Alan was most recently Head of Commercial and Head of the TYSABRI Franchise at Elan Pharmaceuticals. Particular areas of expertise include global and US P&L management, product launches, alliance leadership, field force leadership, life cycle management and business development. Alan is currently both an entrepreneur and a biotech strategy consultant. He holds an MBA in Finance from the Wharton School at the University of Pennsylvania and a BS in Accounting from the University of Delaware. Tom has more than 20 years’ experience in the merchant energy business. Tom is the founder and Managing Director of Howland Capital which specializes in the development, funding and operation of energy projects including oil and gas, biomass, energy services, solar and gas fired co-generation. Prior to joining Howland Capital, Mr. Gebhard served as a senior executive and founder Blue Rock Energy a retail energy company in upstate New York. Prior to Blue Rock Energy, Mr. Gebhard held senior positions at American Tractebel, Citizens Lehman Power and Edison Mission Energy. Experienced in acquisitions, project finance and structured transaction origination, Mr. Gebhard has been a team leader responsible for numerous complex energy transactions and has worked closely with major Wall Street investment banks. His expertise is in the identification, valuation, and negotiation of complex energy transactions that bring substantial intrinsic value to project portfolios. He has been a key player in the development and construction of numerous power projects that continue to operate successfully in the power market. These projects were required to be fully hedged and project financed prior to construction. 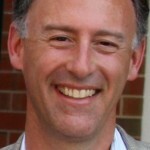 Greg is a Partner with Lean Enterprise Inc. 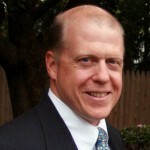 He has been in the Business Transformation, Strategic Improvement and Problem Solving field for over 27 years. He is an experienced and skilled operational excellence architect having personally designed, built and implemented numerous successful operational transformations based on Lean Thinking, Six Sigma and the Theory of Constraints. In his Partnership role with Lean Enterprise Inc. he has been in a leadership position of a successful and innovative management consulting firm of over 20 senior consultants since 1998.